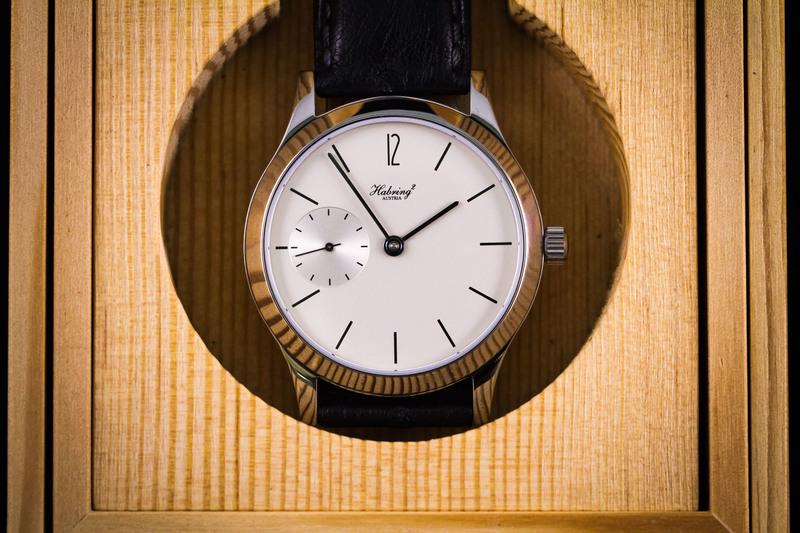 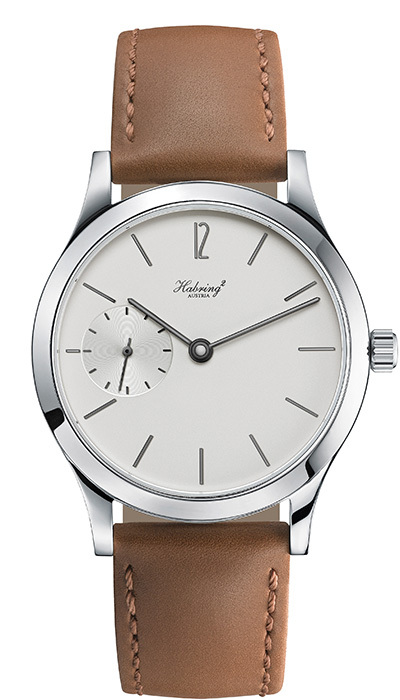 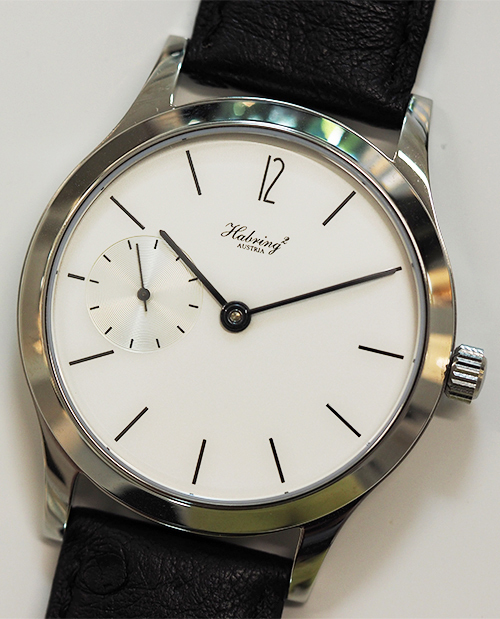 Habring2’s Felix features the robust and exact A11B, manual movement developed and manufactured completely in-house by Richard and Maria Habring and their team. 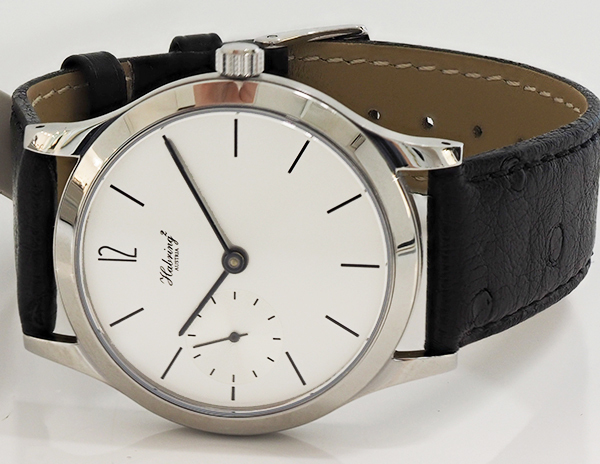 The striking Felix centres on the balanced and technically perfect chronometer-standard calibre which is enhanced by an understated dial design and elegantly finished case. 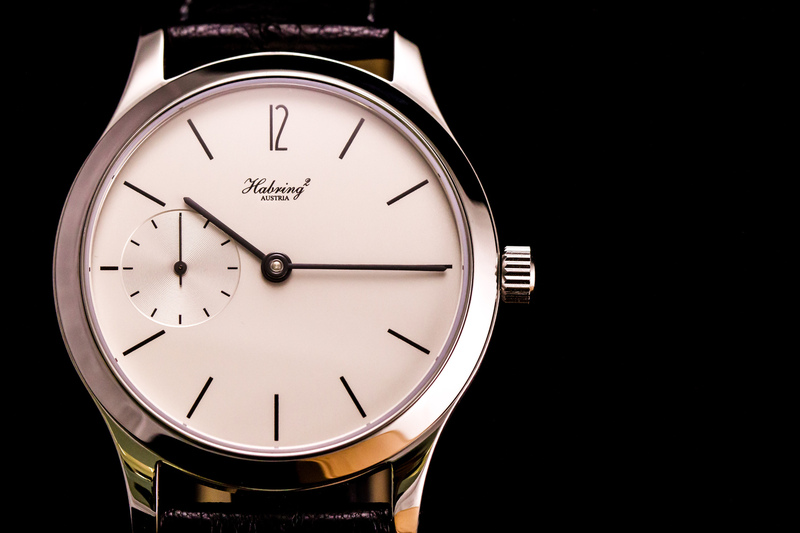 Subtle inclusions such as an Arabic numeral at 12 and small second sub dial positioned at 9 o’clock add an element of distinction to an otherwise minimalistic dial design. 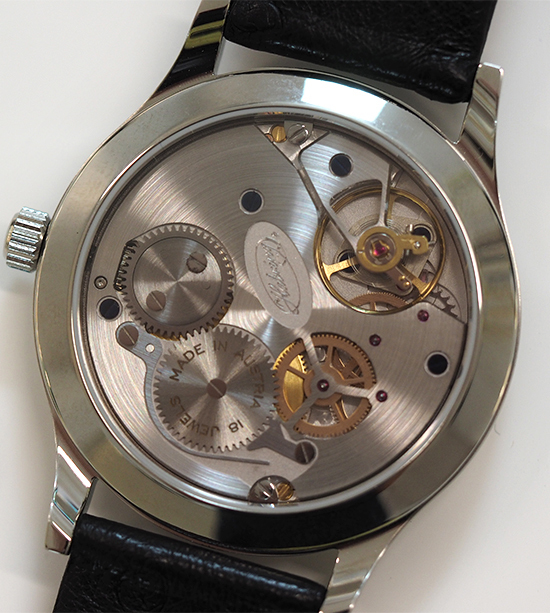 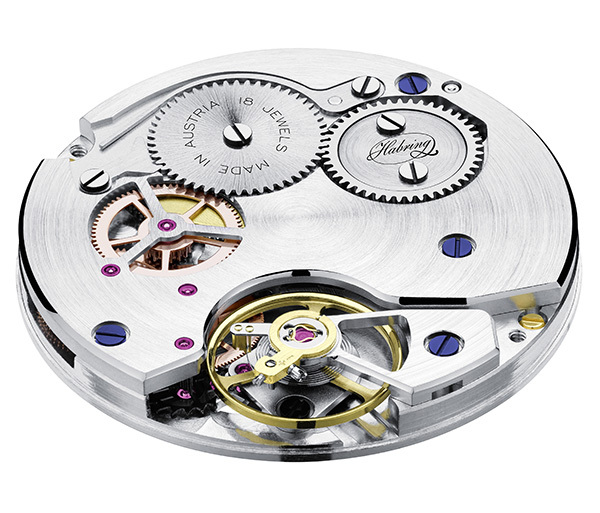 A generous sapphire crystal, exhibition case back affords an excellent view to the proprietary, manual movement within. 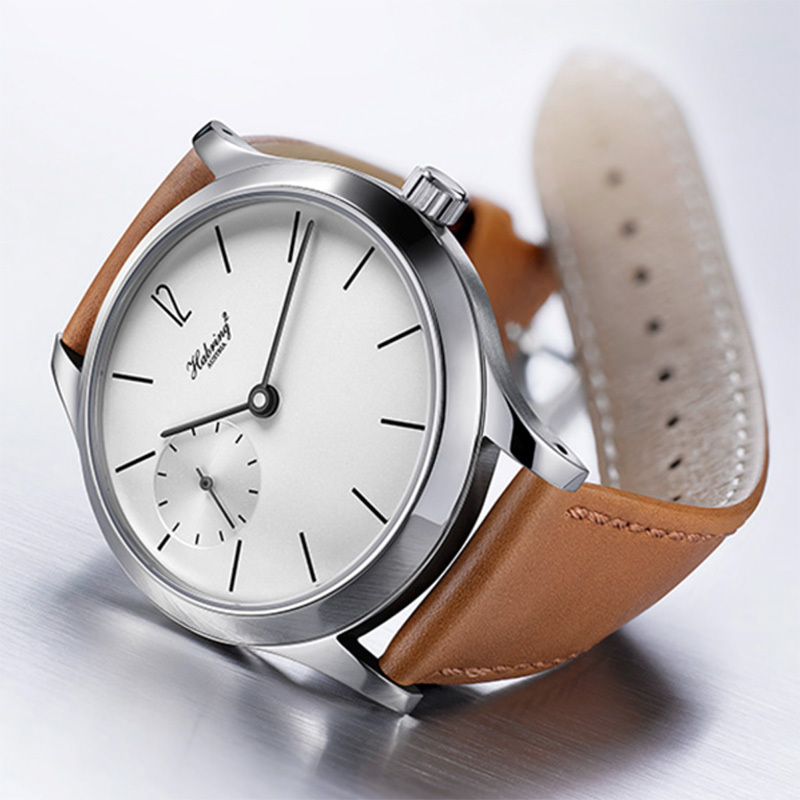 Felix is the perfect watch for slimmer wrists thanks to the molded lugs and neat 38.5mm case diameter. 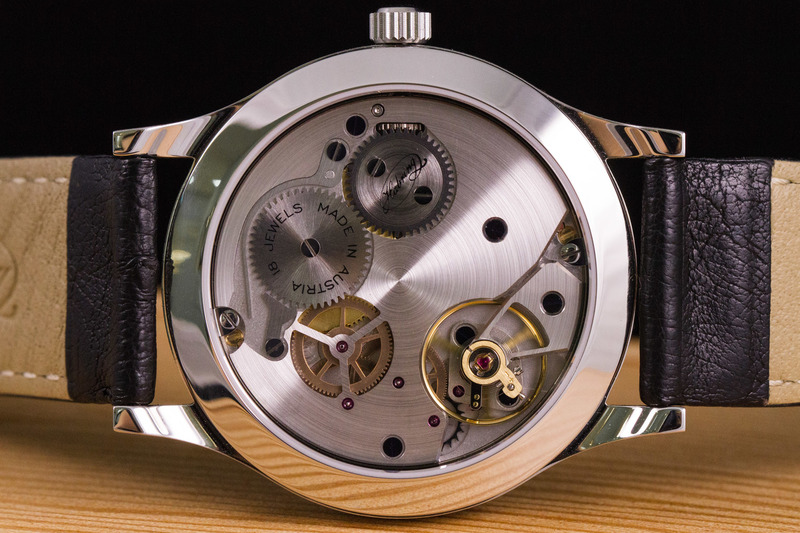 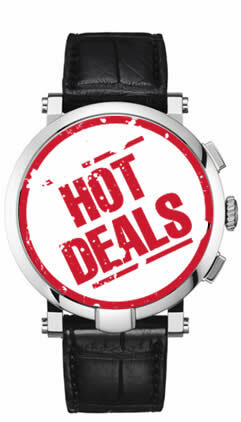 This is a classic-looking timepiece with a modern and technically brilliant heart.